These clear plastic plates are made by Biot in Provence, France. The Biot factory in Provence has made glass plates by hand for many, many years but now offers clear plastic plates and their clear plastic plates have bubbles in them just like their glass dishes! 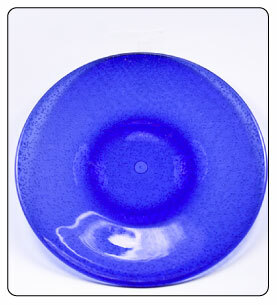 The thick clear plastic makes them the most elegant plastic plates on the market. Most plastic plates today are made of melamine and imported from China. Our plastic plates are from Provence. 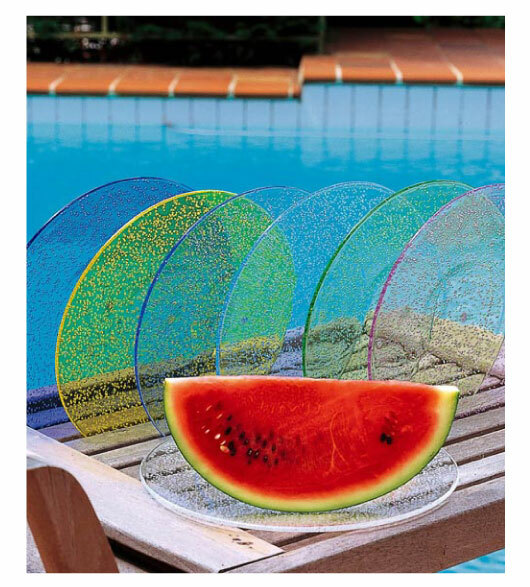 They are not melamine but are made of plastic that looks like handblown glass. It's amazing. These are plastic plates that are more than just practical. They are elegant decorative home decor. Make your summertime home entertaining elegant but easy. Entertain beautifully at home when you are outdoors in a bathing suit and just don�t feel like getting out the china dishes. But never, ever use foil serving plates from the supermarket whatever you do! Have plenty of pretty plastic plates plastic bowls, plastic pitchers and plastic glasses on hand for summertime dinner parties and cocktail parties or for everyday use. Plastic dishes and especially plastic plates are perfect for what home entertaining guru Lee Bailey called �No-Work Lunches.� Lee said, �I�m not going to spell out exactly how to make these speedy little lunches, because the point is to use whatever is on hand. The great thing they all have in common is that they don�t (and shouldn�t) take more than 15 or 20 minutes to prepare." Add a few ubiquitous tomatoes, some black olives and toasted crackers. You could keep going� hard boil a couple of eggs and put an anchovy filet on top of each slice. Do you have roasted peppers? Why not add them too? Make do! Look in the refrigerator and cabinets. Use your imagination. Don�t let anything escape.� Monday Diet Lunches were another of Lee�s specialty. Plastic plates, plastic bowls and other plastic dishes are good for those too! 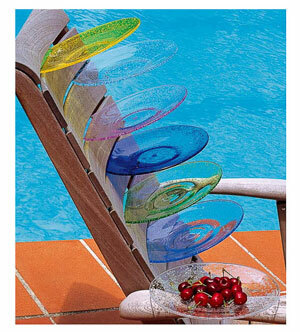 Plastic dishes make a great gift for people who like easy entertaining and casual everyday elegance. Ask us about monogramming these plastic plates for a wedding gift for example, if you are interested. Read more about our plastic dishes.